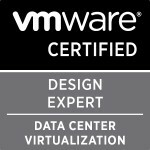 Just a very quick posting to alert people that I have now updated my VCAP-DCA and DCD resources page. The page is a list of resources that I have been constantly updating as I have come across new resources and I have made my way through the required amount of studying to be prepared (which is still on-going).So either click the “VCAP-DCA & DCD” link at the top of the page or click here if you can’t be bothered going to the top of the page and if you know of any other great resources please do comment so that I can add them and it can benefit the whole community. Categories: Certifications, VCAP, Virtualisation | Tags: Trainsignal, VCAP, VCAP-DCA, VCAP-DCD, Virtualisation, virtualization, vmtraining, VMware, VMware Certified Advanced Professional Datacentre Administration blueprint, VMware Pro Series Training Vol1 | Permalink. Awesome, Thanks, I am probably going to start down that path in the next month or so…. Scary!!! !